Fondly Fahrenheit is Alfred Bester’s superlative achievement in short Science Fiction. Apparently the story was based an account of an U.S. Antebellum Era slave owner who refused to surrender his murderous chattel because the man was just too valuable. In Fondly Fahrenheit Bester makes brilliant use of the psychological concept of transference, literally smacks you in the forehead with an allusion to Nathaniel Hawthorne’s The Scarlet Letter and employs POV shifts that effortlessly blow your consciousness right out of your mind (and into someone else’s)! The story was adapted as a telepay in 1959 under the title Murder And The Android, an episode of NBC’s Sunday Showcase. But the version I want to tell you about is one that I hadn’t realized existed, until just a few days ago! Bester had again adapted his story, and again changed it’s name! 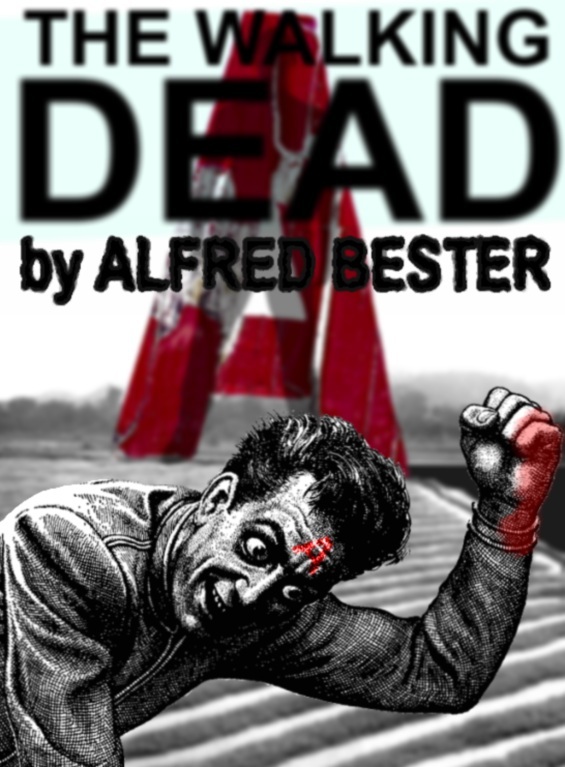 Here is Alfred Bester’s own radio drama adaptation of Fondly Fahrenheit, from 1976 He called it The Walking Dead! Do you know where I can find Murder & the Android? I have been looking for years, FF is one of my favourite stories and I really want to see it. I have no clue as to where to find Murder And The Android.